Technology keeps getting cheaper and better, and the world of acoustic guitar amps is no exception. Not all owners of an acoustic guitar will necessarily need or want an acoustic amp. But if your guitar has a built-in pickup or mic, there’s probably going to come a time when you’re going to want to test it out plugged in. 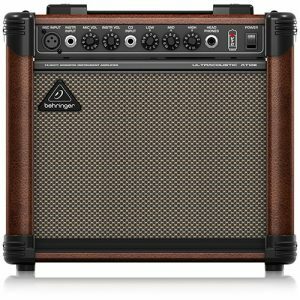 Whether you’re looking to practice in your bedroom, or perform in a café, there are many advantages to having an acoustic guitar amp. Here’s a list of the best acoustic guitar amps for under $200, especially for the budget-conscious. All prices for comparison are correct at the time of writing this, and should be checked before buying on sale. Largely known for their edgy electric guitar designs, Dean only has a limited selection of amps – acoustic amps and starter bass amps – for sale. This mini 20-watter only has basic controls and inputs, but at $52.99 on Amazon (as of this writing), it’s a steal of a deal. The overall sentiment for the Dean DA20 is positive, and customer reviews indicate that it’s a dependable, clean amp with good tone. It’s definitely worth a look. At $199.99 exactly, the Yamaha THR5 Mini is surprisingly versatile and portable. This odd-looking contraption (essentially a rectangular box with a handle) not only has more features built into it than you’d expect from an amp of this size and price – it also sounds quite good. 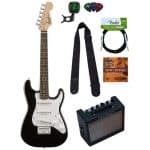 In addition to auxiliary, phones, and guitar inputs, this amp also comes with built-in effects, a tuner, mic settings to alter the tone of you guitar, and more. It can also be connected to a computer (for recording) via USB. 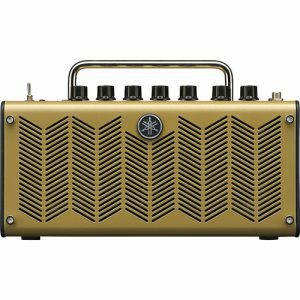 Yamaha has done something good for the beginner market by creating this fully-featured and light-weight amp. 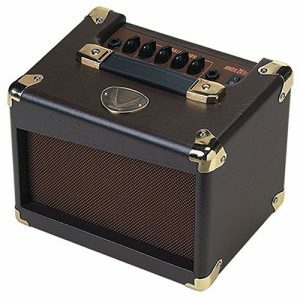 The Acoustic A20 is a great looking little amp, especially for the low price point of $169.99. As you probably guessed, it has 20 watts of power. But it does offer something the other amps we’ve already looked at don’t – two inputs. 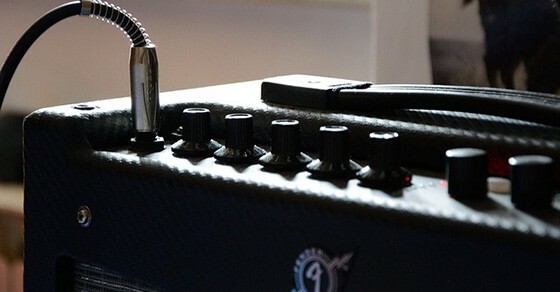 This means you can plug in a mic as well as your guitar, assuming you have the gear to do so. In addition to EQ settings, this amp also has built-in chorus, reverb, and feedback elimination settings. It even has a direct output on the back, and an effects loop just in case you need it. 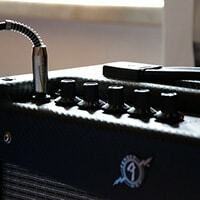 Some customers have complained about the amp’s noise issues (you have to remember that there are several factors here, including your guitar’s pickup, the cable you’re using, how close you are to the amp, etc. 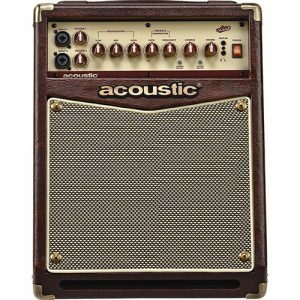 ), but overall Acoustic has done a great job of creating an affordable amp with great features. Fender is a well-known company in the guitar space, both for their guitars as well as their amplifiers. With the Champion, Twin Reverb and Bassman to their name, they aren’t exactly slouches either. People looking for that bright, Fender tone wouldn’t be satisfied with anything but. But what about this $99.99 15-watt acoustic amp? Is it any good? As you can imagine, it’s a fairly basic amp, but it still has two outputs (for guitar and vocals). It also has EQ controls and chorus for good measure. Is it starting to grab your attention yet? 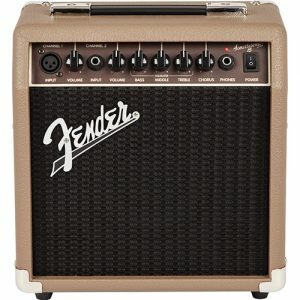 Now, you can’t expect a world-class amp at this price point, even if it is by Fender. 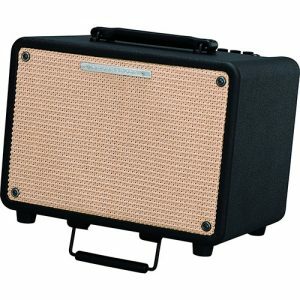 But the Acoustasonic 15 is great for what it is, and it’s just as easy to use and haul around as it sounds. This little amp, at $99.99, has garnered an overwhelmingly positive sentiment with its customers, which means it’s still a contender. The Ultracoustic AT108 features two inputs and EQ controls, as well as inputs for a CD player and headphones. It even emulates a tube-like sound. If I were you, I wouldn’t be too quick to write it off. For better or for worse, Behringer has become somewhat synonymous with “discount gear” in all things live and studio sound (amps, mixers, microphones, etc.). Be prepared for questions from your audience if you go around performing with this little wedge-like amp. The Peavey Ecoustic E20 is only $139.95, and it’s sure to be a conversation-starter. 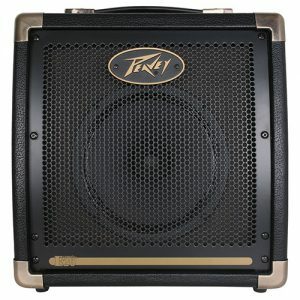 This Peavey amp does have two channels with independent EQ controls, but they are both 1/4-inch inputs. This might have been a slight oversight, since most players are more likely to require one XLR and one 1/4-inch input. But this wouldn’t stop a determined soul from using converters to plug in their mic. Again, it’s not a bad product for the price, but if you’re looking to use the amp to amplify your voice, there are better choices. If you’re looking for bang-for-buck, you’ll usually get it with Ibanez. So what can you expect from the Troubadour Ibanez Troubadour T30 30W Acoustic Combo Amp Black, priced at $199.99? First of all, you get 30 watts – that’s more power than any amp featured so far. You also get two inputs (for guitar and vocals), independent EQ controls, as well as chorus and reverb. Other than that, it isn’t a fancy amp by any means, but it offers all the power you’d need for playing small-to-medium sized rooms. Ibanez is fast becoming known for affordable, quality products, and for good reason based on this amp. Last but certainly not least, we have a Roland product for your consideration. This is the same company that brought us the Cube, JC, and AC series amps, so although some of their products have bombed, we know that they are capable of making great amps. The Roland MOBILE AC is an odd-looking unit, but would be ideal for busking purposes (as long as the use of small amps is permitted in your locality – look into it to avoid being fined). As you might have guessed, this amp can run on battery or DC power. There isn’t much by way of EQ control, except for the “Tone” knob. 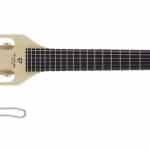 Surprisingly, it still comes with chorus and reverb effects, and there are three independent volume controls for your guitar, mic, and audio in (presumably for connecting your smartphone or tablet to play canned music). The mic input requires you to use a 1/4-inch connection, but that shouldn’t come as a surprise considering the size and shape of the amp. 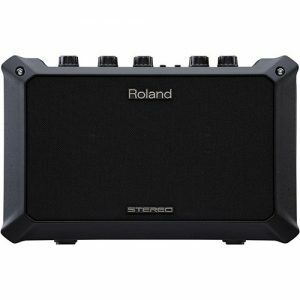 Again, if you’re an avid busker and like the Roland brand, this amp is worth a look. If your guitar is acoustic and you want a good amp for it, the above will do you well. There are a lot of other great products to choose from, but not many for under $200. Marshall and Fishman are also strong contenders in the acoustic amp realm, but you would be hard-pressed to find any of their products for $200 or less (except for used amps). Happy browsing, and we hope this guide will help you find the right amp for you.